Before & After for the work made in a white Ferrari. As a car owner, you know just how important regular maintenance can be. But maintaining your vehicle means more than just simply taking it for a service at regular intervals. Your car’s image is very important and this means that you should consider car dent repair on a regular basis to maintain your car’s image. It’s no longer enough to simply wash your car every now and then; waxing your car will make all the difference in terms of preserving its exterior. Just like paintless dent repair and headlight restoration can be important, so should high quality waxing. A professional car waxing service will not only help to maintain your car’s image but it will also help to protect your car’s paint. You want to avoid small scratches, which is why you should consider waxing your car on a regular basis. Although you can do this on your own, it’s often better to leave it in the hands of the professionals as they specialize in professional waxing for a variety of vehicles. A high quality wax is essential when it comes to protecting your car’s paint. Not only do you want to eliminate small scratches to your paint, but you also want to protect your paint against the elements. A high quality, long-lasting wax can provide you with months of protection at a time, making it a solid investment for any car owner. Some newer waxes, especially synthetic ones, can last for up to a year. Cars that have been regularly waxed with a professional wax will also retain their shine for longer and this means less maintenance in the long run. To make sure that your chosen wax has been applied correctly you can run your hand across the car to feel for any inconsistencies or rough spots that you might have missed. Waxing will make your car look shiny and new, which is an added benefit. Along with car paintless scratch repair every now and then, a high quality wax will be the perfect companion to help protect your car. You should also keep in mind that should you choose to sell your car in the future, the way it looks will make a huge difference in your selling price – a car buyer wants a vehicle that was properly taken care of. If you are looking for professional car waxing services, speak to our friendly team today. We specialize in paintless dent repair, headlight restoration, rim repair, and leather interior repairs in Miami-Dade, Broward and West Palm Beach. 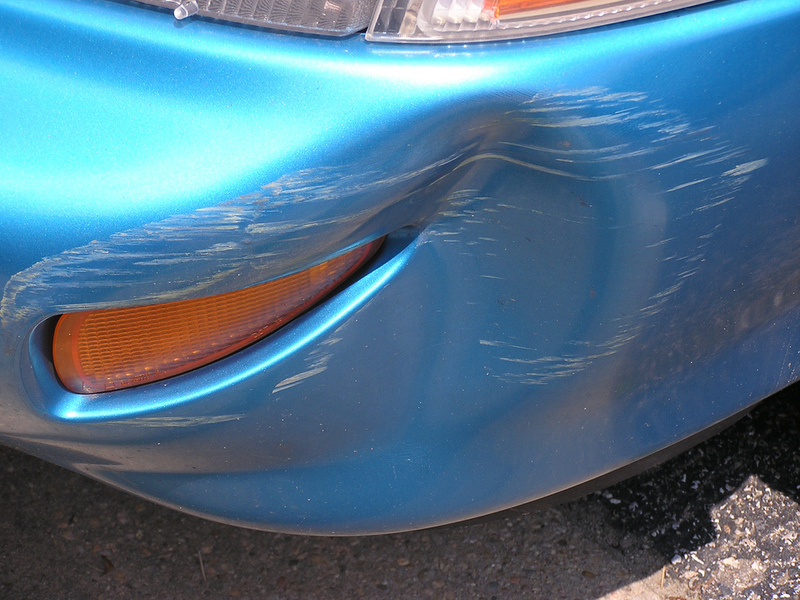 Schedule an appointment for a free estimate from a car paint repair specialist. Whether you are an experienced or novice driver, it’s important to pay close attention to your vehicle’s dashboard functions to help keep track of essential information regarding your car. Therefore, when performing car interior repair, remember to also work on the dashboard. A properly functioning dashboard reminds you when it’s necessary to gas, how fast you are driving and also warns you when your car encounters a problem. The benefits of repairing your dashboard are discussed below on the basis of its components. A dashboard is basically a combination of gauges, warning lights and other additional advanced features like a camera, GPS, music players, internet enabled devices and so on. Gauges occupy a large space on your car’s dashboard meaning they have major functions to perform as far as your car is concerned. These gauges include: a fuel gauge, tachometer, speedometer, odometer and temperature gauge. Repairing gauges on your dashboard literally means restoring important functions. For instance, restoring a speedometer means you are in control of your car’s speed. On the other hand, a tachometer shows your car’s rpm of your car engine. It is perhaps one of the important components of your car that will notify you in case of a problem with your car’s engine. When performing interior car repair, also work on fuel gauge. This lets you get back in control of gas. Without this gauge on your dashboard, it will be almost impossible to tell when gas levels hit a minimum. Also, the life of your engine lies in the hands of your dashboard’s temperature gauge. Only the temperature gauge will warn you when your car engine overheats. The odometer shows the distance you have driven so far. It is dangerous to drive your car without proper functioning of any of these gauges. Your car dashboard has warning lights, so always keep an eye on them. Once you see any warning lights, it’s typically time to take your vehicle to a mechanic to help identify the problem that is causing the lights to illuminate. A simple or serious problem can cause them to illuminate. A simple problem could be a need to change oil while more serious issues could be related to your car engine. Any car dashboard typically has at least one warning light for the battery, coolant, brakes, fuel, air bag, door, seat belt, anti-lock brake system and the engine. Changes in technology are resulting in additional features to a car’s dashboard. Some cars now have advanced features like cameras for backups, jacks for mp3 devices, digital music players, internet access and GPS. Prevent damage to your car vinyl dashboard by ensuring its topcoat remains intact. The topcoat is important in sealing plasticizers that keep the dashboard flexible and supple without which your dashboard will crack and dry out. Lastly, the topcoat may wear away with each dashboard cleaning exercise unless you take special precautions. Do not wait until the light begin illuminating for you to perform interior car repair. Whenever you spot any problem, find a qualified mechanic to handle it immediately for proper functioning of dashboard and its components. At ColorMate, we offer same day dashboard repair services, headlight restoration, rim repair, paint and bumper repair in Miami-Dade, Broward and West Palm Beach County regions. Schedule an appointment today for a free estimate from a certified car interior repair specialist. A car’s headlights are crucial for your safety while cruising in inclement weather or at night. This is why you should always carry out safety inspections and perform headlight restoration where needed. An annual inspection is not enough; this should be done on a regular basis to ensure that all headlight functions are working properly. Two spots of light on either side mean both lights are properly working. If they flick from high-beam to low-beam then check their setting. A car lighting system is fairly simple; however there are some things that will always go wrong. In most cases, the problem is usually the bulb itself, a switch or its fuses. Before spending money on car headlight restoration, it is crucial to first understand the cause of the problem. One very common issue with most modern headlight assemblies is that they become yellowed or fogged with time. This is as a result of “leaching out” which is caused by lubricants found in the polycarbonate plastic housing. This substance causes the plastic to dry. This process is also referred to as “oxidizing” and is similar to what occurs to paint on a vehicle which leaves a white powdery appearance. When this happens, the headlights fail to properly shine light through lenses. This calls for a headlight restoration. Much light is lost or refracted off waywardly resulting in no visibility. If it gets worse, you may not make it past a safety inspection. To repair this, you need to remove the outer lens surface to make it clear again. To make the headlights clear again, you will need to remove the outer surface of the lens so that the clear, unaffected region of the polycarbonate becomes visible. Some people have succeeded in performing car headlight restoration by using substances like peanut butter and toothpaste. Alternatively, the trick would be to use an abrasive object to gently the outer surface of the plastic. Moreover, you can use 1500-grit sandpaper to clean off fogged areas of the plastic. Once done, replace it with 2500-grit sandpaper in order to smooth it out. Then polish it using a cloth and plastic polish. Also, you may use a rubbing compound that is not as abrasive as sandpaper. This means it will you will perform more rubbing, but ultimately achieve the similar results. Low hanging branches or flying stones could cause cracks on headlights. Failing to carry out timely headlight restoration means the crack will widen. Consequently, water will percolate through the crack and land on the hot headlight bulb thereby causing it to break. There are both repair patches and liquid repair solutions that you can apply on a headlight lens, much as how windshields are restored. After car headlight restoration, the crack may still be visible. In spite of this, the repair completely seals the cracks preventing entry of moisture, further cracking and widening of the lens. Car headlight restoration is a relatively simple solution for most headlight related issues, except for problems that result from breaks and a short in the car’s wiring system. Even a home mechanic novice can easily replace bulbs and their housings, and generally repair most headlight problems, saving oneself a rather expensive trip to a mechanic. We are in business because of you! Contact us if you need our assistance. We shall gladly step on the way to help. 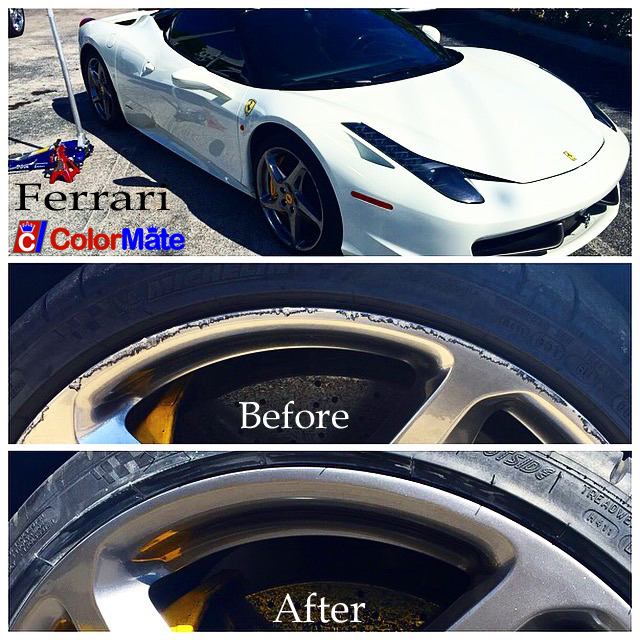 ColorMate offers headlight restoration, rim repair and bumper repair in Miami-Dade, Broward and West Palm Beach County regions. 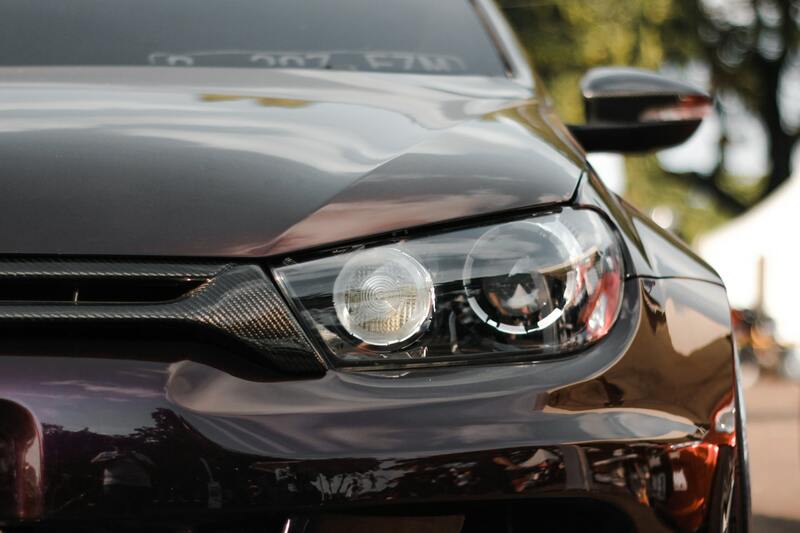 Schedule an appointment today with a certified headlight restoration specialist.